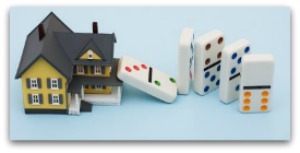 The real estate market is slowly improving but “foreclosures” and “short sales” still pop up in the listing inventory. The term “short sale” refers to a sale where the mortgage holder owes more than the property is worth- and the lender agrees to accept less than what is owed. The lender agrees to be “shorted”. However while the process of “short sales” has improved (somewhat) over the years-many sellers and buyers find themselves at the mercy of unseen and unknown “processors” working for the lenders. According to the latest numbers from the Multiple Listing Service of Greater Cincinnati (thru 10/15) 18.9% of the sales have “Lender Involvement”- so chances of bumping up into a or a foreclosure still exist in the greater Cincinnati real estate market. Sellers who need help with a short sale- make sure to use an agent who not only understands the ins and outs of the entire process but also knows when to refer you to short sale and/or foreclosure professional for legal guidance. Lenders require extensive paperwork prior to approving the seller’s request for a short sale so you cannot bypass the paperwork and hope that a buyer will wait while you secure approvals. If you think you are headed toward foreclosure -seek legal help to guide you through the process. Many communities and organizations still offer affordable legal assistance to home owners in need-so check around for assistance. Buyers who decide to purchase a “short sale” or a “foreclosure” need to be patient and understand that many of the problems are beyond the control of either agent and/or (sometimes) even the seller. Don’t forget to get inspections- even though the seller may not fix anything. Unless you have bottomless pockets and/or an unlimited budget with a contractor- you may be purchasing a property which requires numerous expensive repairs and you need to know that ahead of time. I have worked with some buyers who received permission to perform an inspection prior to making a bid.